Home to the nation’s first and largest pr ivate irrigation district. Water is the lifeblood of Wheatland. In the late 1800s, the Wheatland Development Company, headed up by the likes of territorial governor Francis E. Warren, Judge Joseph Carey, and Andrew Gilchrist (to name a few), was organized to entice people to establish homes and businesses in the area. They built a Wheatland Development Company building on Main Street, and today it is still standing and home to “Wild Whisk.” It is located at 962 Gilchrist; stop by for a visit and enjoy a glimpse at the Wheatland Development Company’s original safe. 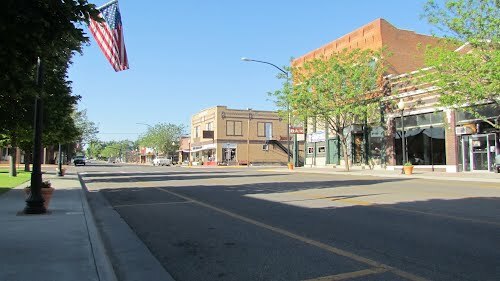 Development is still vital to our economy and we invite you to consider starting your business in Wheatland. Our staff at Town Hall stands ready and willing to work with you through the process. Our historic downtown remains the heart and soul of our community, but we also encourage you to explore 16th street which runs parallel to Interstate 25 and is home to many of our hometown businesses. History surrounds us! Whether you are a long-time resident or just passing through, we invite you to enjoy two beautiful state parks – Glendo State Park and Guernsey State Park. Guernsey (just 20 miles northeast of Wheatland) is also home to two state historic sites, including the Oregon Trail Ruts and Register Cliff where all the emigrants carved their name into the soft sandstone. Of course, there are our mountains to the west of us, and Gray Rocks Reservoir to the northeast. Wheatland is the gateway to all of these beautiful sites, and our roads will take you straight to Fort Laramie National Historic Site as well. “TAKE THE CURVE,” when you get off the Interstate we invite you to “take the curve,” also known as the Business District route! 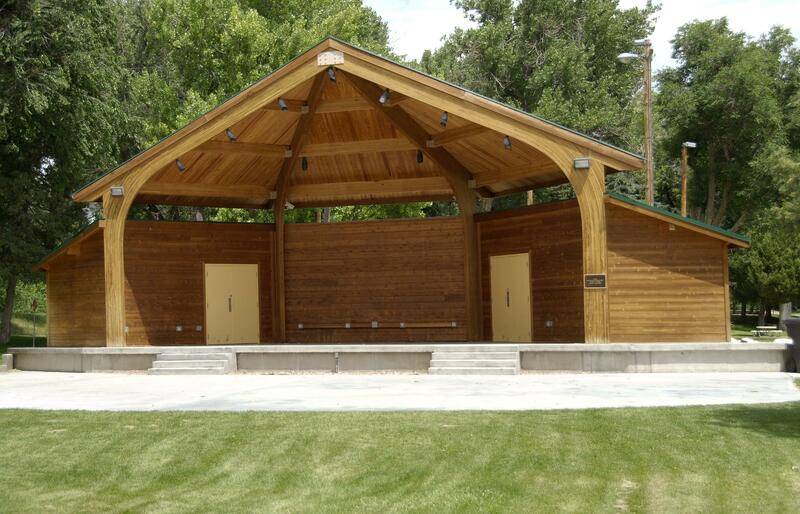 If you’re looking for a campsite we offer you three free days at Lewis Park (located just south of downtown). 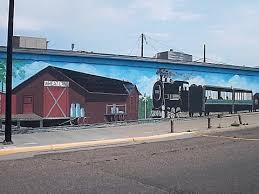 Don’t forget to take a tour of the murals that can be found throughout town. Each one describes a unique aspect of our history. This project, started in 2007 by the Platte County Art Guild, continues on buildings throughout the community. If you have a blank wall – watch out! There is much more to enjoy so please, to find out more, visit Platte County Economic Development, or the Platte County Chamber of Commerce. Thank you for stopping by — we hope you’ll join our 3,627 residents and stay while.